Parcel, LTL and logistics services giant UPS has been by most accounts the most aggressive transportation company across the globe when it comes to use of alternative fuel vehicles. 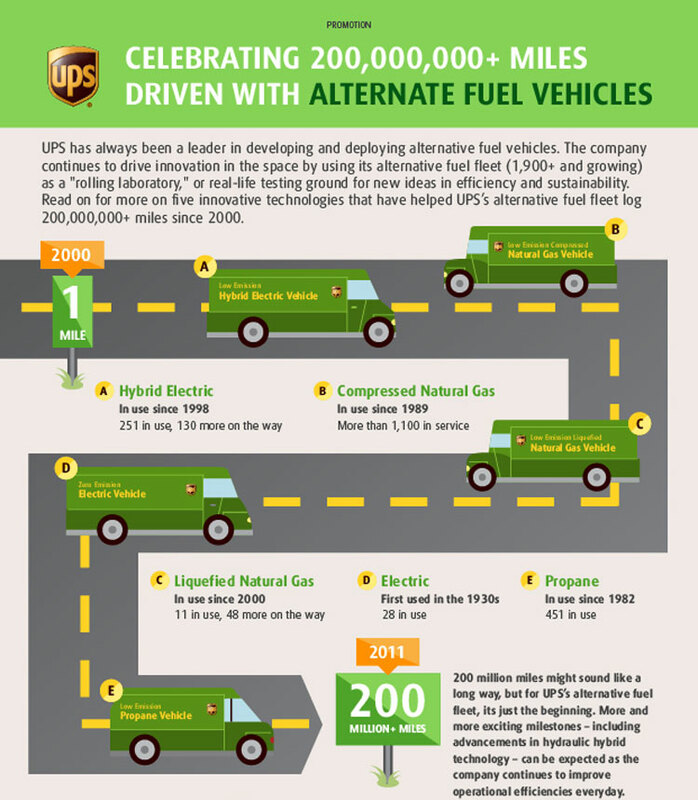 A couple of weeks ago, UPS announced it had reached the 200 million mile level since 2000 with its fleet of delivery trucks using a variety of alternative fuels. The graphic below is admittedly "commercial" - in fact, it camed from an advertisement - but nonetheless we are posting it for free (you are welcome, UPS) because we do believe it tells an interesting tale. UPS has more than 1900 alternative fuel vehicles on the road, with some 178 more on order. We're not sure, but since the only two types have new vehicles on order (hybrid electric and liquified natural gas) we are wondering if those are the winners in this extended trial.